Founders who created a lasting legacy. | Image courtesy aka1908.com. Over a century ago, nine college co-eds attending Howard University—a historically black college in the heart of our nation’s capitol—had a common dream to make the world a better place. At the dawn of the 20th century, society as they knew it was mostly male-dominated and segregated. But despite the struggles they faced in their own lives, this inspiring group of collegians was well aware of the opportunities that being “college-educated women of color” brought them—just one generation removed from slavery. Being sensitive to the struggles of African Americans facing racial discrimination and injustice in their own communities, these young women, led by Ethel Hedgeman, took it upon themselves to lend their talents to making a difference. 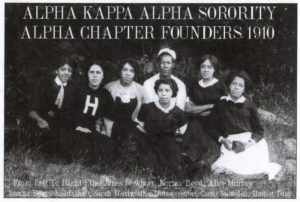 Their vision came to life in January 1908, when Alpha Kappa Alpha Sorority (AKA) was born, becoming the first Black Greek letter organization established by African American college women. 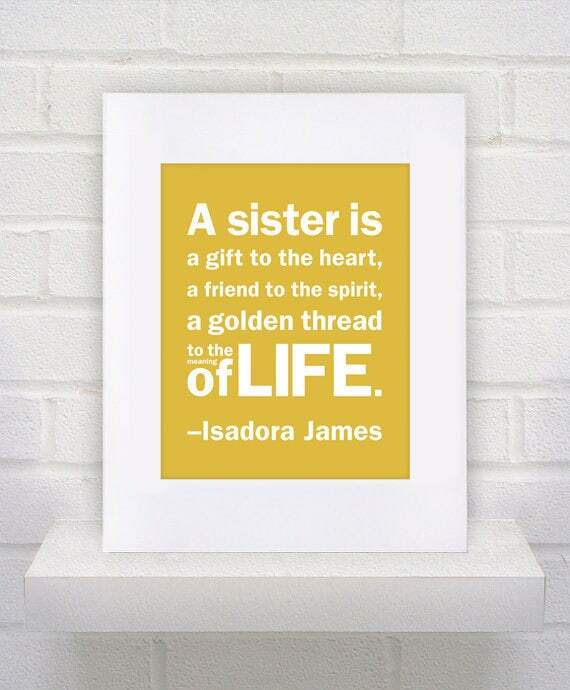 The bonds of sisterhood last a lifetime. | Image courtesy Etsy seller KeepItFancy. “To cultivate and encourage high scholastic and ethical standards, to promote unity and friendship among college women, to study and help alleviate problems concerning girls and women in order to improve their social stature, to maintain a progressive interest in college life, and to be of “Service to All Mankind”. At the time when AKA was established, its founding sisters were among fewer than 1,000 African Americans attending higher education institutions and only 25 women who received Bachelor of Arts degrees from Howard University between 1908 and 1911. Today, this great AKA tradition and legacy created by just 9 has grown to nearly 300,000 members across the globe in 1,012 chapters in 42 states, the District of Columbia, the U.S. Virgin Islands, the Bahamas, Germany, Liberia, South Korea, Japan, Canada, South Africa, and the Middle East. And in honor of the AKA’s deep and important history, one chapter has started a gift exchange in which members can swap sorority sister gifts to celebrate their precious bonds of sisterhood. I recently had the privilege of learning more about one AKA chapter in particular, the Rho Xi Omega Chapter in Baltimore, Maryland. Chartered in December 1988, the 80 dedicated and dynamic founders of this graduate chapter found a need to expand the reach of AKA in Baltimore, a city in which the African American population faces many social and economic challenges. The group has now blossomed to about 320 like-minded sisters. Members of the Rho Xi Omega Chapter gather for their annual gift exchange. | Image courtesy Judith Fitzgerald. Educational Enrichment: Members will have an opportunity to receive academic enrichment and life skills training to support their journey to college or vocational employment. Health Promotion: Alzheimer’s disease is one of the fastest growing health challenges among African Americans. Rho Xi Omega is working to do their part to reverse the tide. Family Strengthening: This includes the chapter’s childhood hunger initiative, collecting and donating hats, gloves, socks, scarves, coats, sweaters, and fiscal responsibility budgeting, basic financial planning and benefits of home ownership. Environmental Ownership: Acts of Green program members will promote environmental sustainability by encouraging recycling, litter prevention, and waste management through daily green efforts in local communities. In addition, sorority members will restore and renew 1,908 existing community and school playgrounds with its Restore, Refresh and Renew Project. Global Impact: The chapter works to implement the UNA-USA Global Classrooms Project to prepare today’s youth for an increasingly global and complex society. They also have started youth hunger initiatives on the continent of Africa. 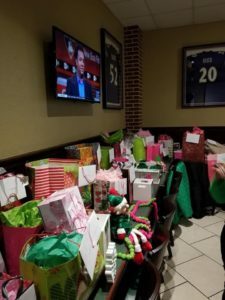 Promoting sisterhood and fostering relationships amongst the chapter is also a key mission for the sisters of Rho Xi Omega, and that’s where a “Secret Soror” gift exchange brings a few laughs and love to the lives of these busy ladies. Judith Fitzgerald is the chairperson of the chapter’s Sisterly Relations Sub-Committee called the “Secret Soror Gift Exchange” (Soror is the Greek word for “sister”). Judith says she heard about Elfster from another soror who had previously used the site, and since then Elfster has been a perfect way to bring the sisterhood together—not only for their holiday exchange but all year long! There are a few rules Judith has established for her exchange group, as the 54 participants are paired with the same person for an entire year. Judith uses the Elfster site to keep the members organized and on track for sending several gifts throughout the year. Fortunately, being able to set everything up online makes it easy to keep everyone on the same page. Pink and green all over the place! | Image courtesy Judith Fitzgerald. The chapter gathers for social events throughout the year, but mums the word on who drew you as their secret soror until the big reveal! So, after waiting all year to reveal themselves, I can only imagine the Secret Soror Christmas party is loads of fun! 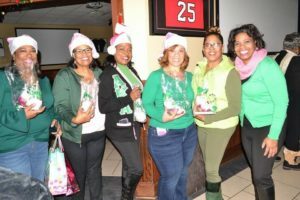 “We have Secret Soror Elves who deliver gifts and answer questions throughout the year (wearing playful pink Santa hats in the pic),” Judith says. “You find out the identity of your Secret Soror at the Christmas party in December. Our sorority’s colors are pink and green and we have our Christmas party at The Greene Turtle restaurant.” What an appropriately colorful bunch! Such a great way to wrap up a year filled with lots of hard work, dedication, and plenty of sisterhood! We are so glad Elfster could help these generous sisters who are making the world a better place each and every day take some time to appreciate one another. Here’s to a great 2018 Secret Soror exchange! Are you part of a community that uses gift exchanges? You can start your own gift exchange online, then tell us about it on our Facebook page, on Twitter @Elfster, or on Instagram @Elfster. And, for inspired gifting ideas, browse our gift guides.